Mental game of racing expert, Dr. Patrick Cohn, at racingpsychology.com helps NASCAR, Motocross, and motorcycle racers improve performance and lap times by boosting mental skills, focus, and confidence on race day. 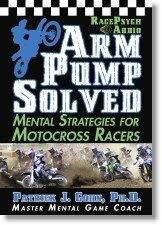 Learn motocross mental training and auto racing secrets. In today’s racing psychology session, I answer a question about a racer who wants to be as fast as the pros. Many racers feel that they have the potential to be as fast as the pros. 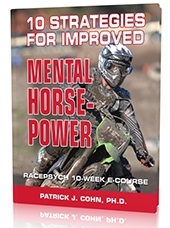 Learn my top mental racing strategies to improve motocross and auto racing confidence on the track. You have to believe in your racing ability to compete at the professional level. Doubting your ability will affect your concentration on the racetrack. If you are not at the professional level yet, focus on what you need to improve to get to that level. The key is to focus on improving your own speed and not the speed of the pros. Listen to this podcast on “improving racing speed” to learn more mental training tips for motocross and auto racing!